What is CBD oil? Is CBD oil and hemp oil the same? These are relatively new products so most people are not informed. Below we'll answer common questions and go over the benefits these oils can provide. Pain, especially chronic pain, can be difficult to live with. Unfortunately, prescription painkillers have many dangerous side effects. Whether you’re suffering from an on-going condition or temporary muscle soreness, CBD Hemp Oils can be a safe, effective solution. Our guide to the best CBD hemp oils has everything you need to know about what CBD is and how it works. CBD Hemp Oil has both physical and mental benefits. Physically, CBD and Hemp Oil help reduce inflammation in the body. Regular use is effective at treating both temporary and chronic inflammation. You can take the oil as needed to reduce muscle soreness following an injury or workout. Taken daily, the oil can also be an effective solution for on-going issues such as arthritis, fibromyalgia and similar painful conditions. Mentally, CBD oil can help create feelings of calm and relaxation. CBD Hemp Oil also helps stop repetitive thoughts. These soothing effects can also help you fall asleep easier and stay asleep longer. Note that CBD oil doesn’t make most people feel sleepy if they’re up-and-about during the day. The sleep aid properties only occur if you’re ready for bed. Here’s where things can be a little confusing. CBD Hemp Oil contains the cannabidiol compound. But not all hemp oils contain CBD. Most people prefer the stronger healing properties of CBD Hemp Oil. But Hemp Oil without CBD does have plenty of uses. Hemp Oil also promotes muscle and mind relaxation. It’s just not as powerful as CBD Hemp Oil. Understanding the difference is important so you don’t accidentally buy the wrong type of product. What are the Drawbacks of CBD Hemp Oil? The medical benefits are clear. However, hemp oil isn’t always a miracle cure. There are two main drawbacks for many customers: taste and price. Hemp oils naturally taste a bit… unusual. They tend to have a bitter, plant flavor which most people tolerate at best. If you’re concerned about the taste, you’ll want to find a hemp oil which adds some type of masking flavor. Both chocolate and mint are usually pretty effective at covering up the natural hemp taste. Price is another complication. Hemp oil can be quite expensive. If you’re using the oil occasionally to treat post-workout soreness or other temporary injuries, the cost is usually manageable. But if you need a lot of CBD hemp oil throughout the day to help manage a chronic condition, costs can quickly add up. There are two ways to potentially manage these costs. First, you might consider switching from CBD hemp oil to hemp oil without CBD. The CBD often results in higher (no pun intended) costs. You might also consider medical marijuana, which is often cheaper than CBD hemp oil. Of course, the intoxicating properties of medical marijuana can be an issue if you need to use it all day long. Despite potential issues with the taste and the cost, many people have found CBD hemp oil to be an incredibly effective pain management solution. There are numerous benefits over prescription painkillers such as Vicoden and other opioids. CBD hemp oils provide pain relief with none of those side effects. At worst, excessive hemp oil will cause drowsiness. But generally people experience pain relief with no harmful side effects. For many people, regular use of hemp oil actually increases their mood and decreases anxiety. 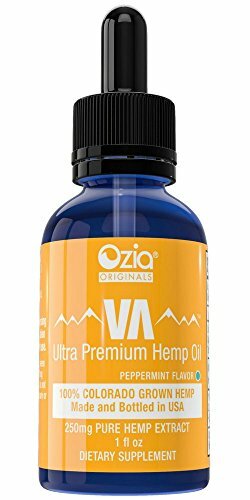 PREMIUM HEMP PAIN RELIEF - Best Ultra High Strength hemp oil supplement for pain, anxiety, and stress relief. Provides back, muscle, joint, and systemic whole body pain relief! Looking for an all-natural hemp oil? Restorative Botanicals 600 mg extract is an all-natural supplement organically grown in Colorado without the use of fertilizers, pesticides or herbicides. This vegan hemp oil contains no GMOs or gluten. The extract is temperature stable and portable. The smooth chocolate mint flavor contains MCT coconut and sunflower seed oils. With no added sugars or sweeteners, the oil has no grassy, plant flavors. Regular use helps support restful sleep and relaxation. Also helps alleviate muscle and joint pain. Recommended dose is about 30 drops up to three times a day. Combining nature and science, Populum’s hemp oil supplement is created under the supervision of lab professionals using a proprietary engineering process. The result is a hemp oil infused with essential fatty acids and free from unwanted compounds. Hemp oil doesn’t need to have a weird taste. Populum’s custom formula combines cold-pressed orange oil, grapeseed oil and organic stevia. This results in an enjoyable fruity taste which isn’t oily or plant-heavy. Populum takes great pride in their farming and manufacturing methods. They work exclusively with Colorado farmers. Hemp is a rotational crop, so Populum works with their hemp farmers to help restore any drought-damaged soil. AMAZING FLAVOR - Not your ordinary hemp extract oil. Taste the unique essence of an earthy aromatic flavor profile with a touch of terpenese and a nutty after taste. 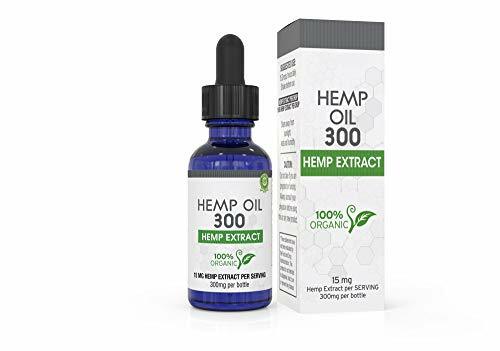 QUALITY ORGANIC FORMULATION - Non-Psychoactive, Non-GMO, Vegan, Kosher, Ultra-Purified Organic Hemp Extract, Virgin Organic Hemp Seed Oil, Vitamin E Oil. 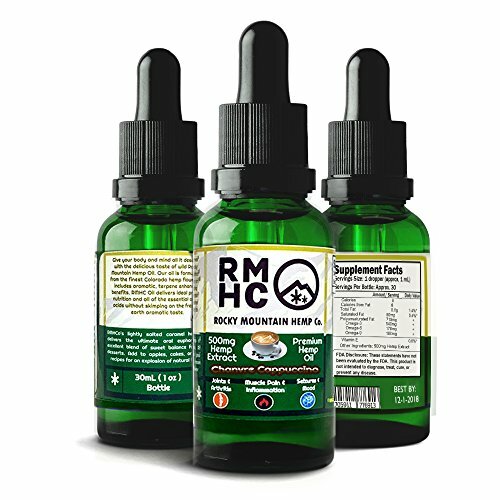 Grown from 100% Colorado hemp, the Rocky Mountain Hemp Co. urges you to “experience the difference” of their Rocky Mountain organic hemp oil. The oil has a unique, fresh taste with a touch of nutty overtones. Ultra-purified, this organic extraction is vegan, kosher and contains no genetically modified ingredients. Colorado hemp flower extract infused with terpenes create a variety of benefits. Ideal protein nutrition and essential amino acids help the oil decrease muscle pain. Effective as a daily treatment for chronic conditions such as arthritis. Also works to alleviate specific pains such as post-workout muscle soreness. Elevate life and go. Our VA formula is optimized naturally through phytonutrients found in hemp including terpenes and essential fatty acids such as Omegas 3, 6, 9. The popularity of hemp oils means quality can vary wildly based on brand. Ozia Originals promotes their safe, natural manufacturing process which includes independent, third-party lab testing and HPLC analysis. Elevate Ultra Premium is a full spectrum extract which includes cannabinoids, Omega 3, Omega 6, Omega 9 and natural terpenes. Does not intoxicate, so it’s suitable for regular use throughout the day. Provides treatment for muscle pain, muscle spasms and nerve pain. Even MS suffers have found relief with the Elevate oil. Absolute Scientific provides both inflammation relief and anxiety reduction. This active hemp extract contains Omega-3, Omega-6 and Omega-9. A CO2 Extraction Method ensures a high quality product free from unwanted extras. Like most hemp extracts, this hemp oil helps reduce inflammation and chronic pain. Suitable for people with arthritis, MS, muscle soreness and more. At the same time, Absolute Scientific’s hemp extract can also help reduce stress and soothe nerves. Useful for public speaking and other anxiety-provoking situations. CBD Hemp Oil isn’t used for fun. Instead, its main purpose is to treat pain. So you want pure, effective CBD hemp oils which work consistently. 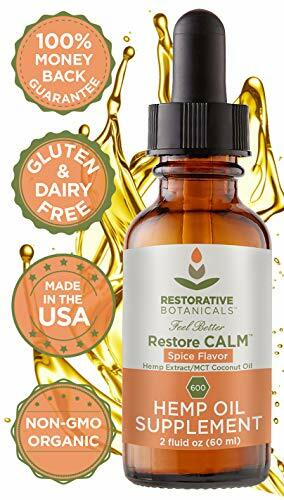 While all of the hemp oils on the list are effective at treating pain, we recommend the Restorative Botanicals Hemp Oil Extract 600 mg Chocolate Mint Flavor – 2 ounce (60ml). Like many Hemp Oils on this list, Restorative Botanicals is a Colorado company. Other locations can certainly manufacture quality CBD hemp oils. But Colorado has a long history and lots of experience growing and manufacturing hemp, so we feel confident recommending CBD products from the Rocky Mountains. Plus, the Restorative Botanicals extract has a delicious chocolate mint flavor. For many people, one of the biggest drawbacks to CBD oil is the plant-like taste. This Restorative Botanicals Oil doesn’t have a taste issue due to the MCT coconut and sunflower seed oils. The oil is easy to regulate, too. The recommended dose is 30 drops three times a day. You can take less if you want mild pain relief and a bit more if you need a sleep aid or have major pain. Also works as an effective treatment for acid reflux disease. If you don’t like the taste of hemp oil, but also don’t like the chocolate mint taste of the Restorative Botanicals blend, then we recommend the Populum Premium Hemp Oil Supplement. They use cold-pressed orange oil and other fruit-based oils to mask the hemp taste effectively. 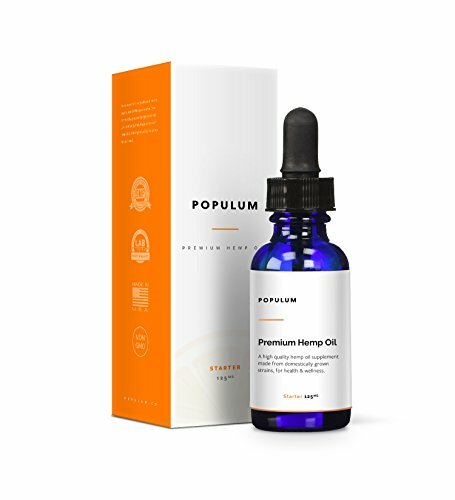 The Populum Premium hemp oil is our top runner-up. CBD Hemp Oils are an often misunderstood solution for pain relief. If you want to avoid the complications of prescription pain relievers and sleep aids, check out how the power of cannabidiol can help you.